Yes, it’s possible to erase information on PDF files. I remember my first designing project; I had to send an extended form of contract, and I didn’t want to write all the stuff again. I had a PDF file from my previous employer, in which the whole format was open, and I just need to remove their logo, address and other tidbits. But at that time I was unable to do so, but now you can do it easily with this new software available in the market, which is free. 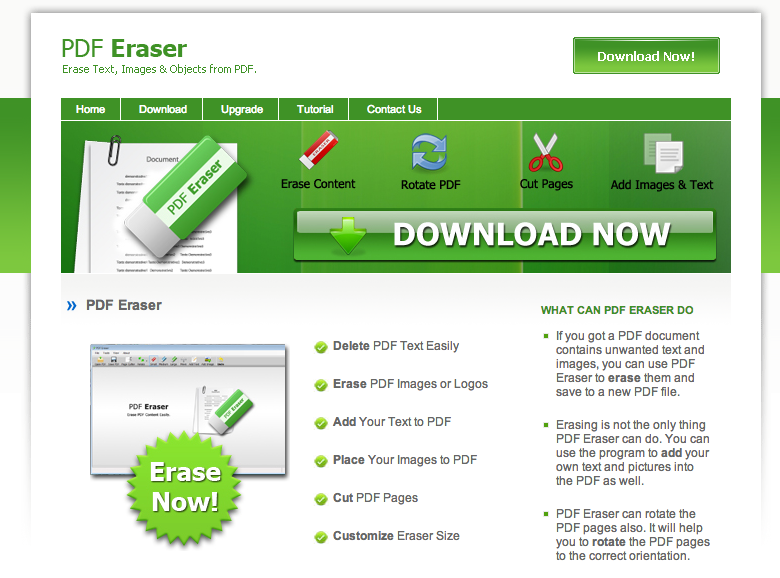 PDF Eraser lets you change the text, delete images, add logos and even remove whole pages from any PDF. Here’s an excerpt from the makers. This software is available for free on Windows XP / Vista / 7 / 8+ and its only 28MB in size. So it will not bloat from system with its files. So, use it and tell me how much you wanted this software every time you want to change something in PDF files.